Stop slathering your skin with chemical-based creams and get the solution that has worked for many of our customers! 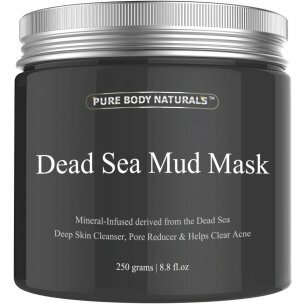 The Dead Sea Mud Mask by Pure Body Naturals is effective for helping your skin. Noted for its high concentration of sodium and magnesium, mud from the Dead Sea is highly effective against blackheads and other blemishes. It helps draws out oils and toxins, cleans pores, and may leave your face feeling exfoliated, nourished and clean.